Here is how mouse support can be added to Turtle Art V84. 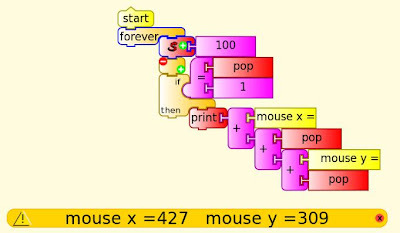 In this example, mouse left click events are registered by setting a flag, the x and y at the mouse click can be read. Then a bit of code in the programmable block tamyblock.py makes it all happen. The modifications to tawindow.py have been incorporated into Version 87.